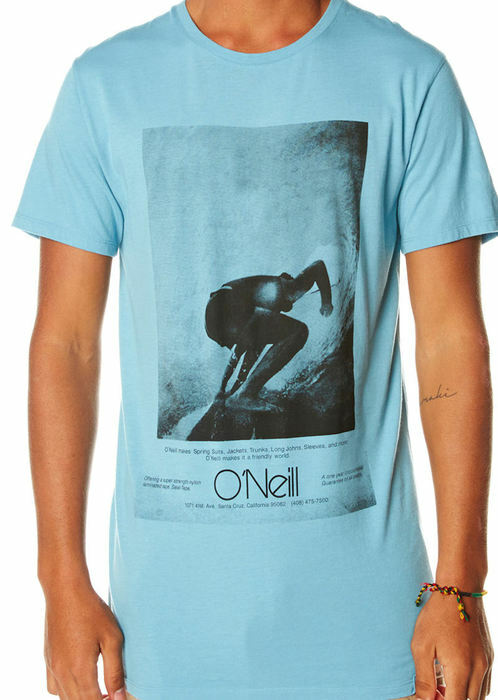 5	stars -	"Review for Oneill 1972 Advert Mens Tee" Mark Taylor This Oneill 1972 Advert Mens Tee is the best Tees I have tried. When you have ridden the force of nature life becomes a waiting period until the next ride. At O'Neill the waiting time is entirely dedicated to extending the next ride.